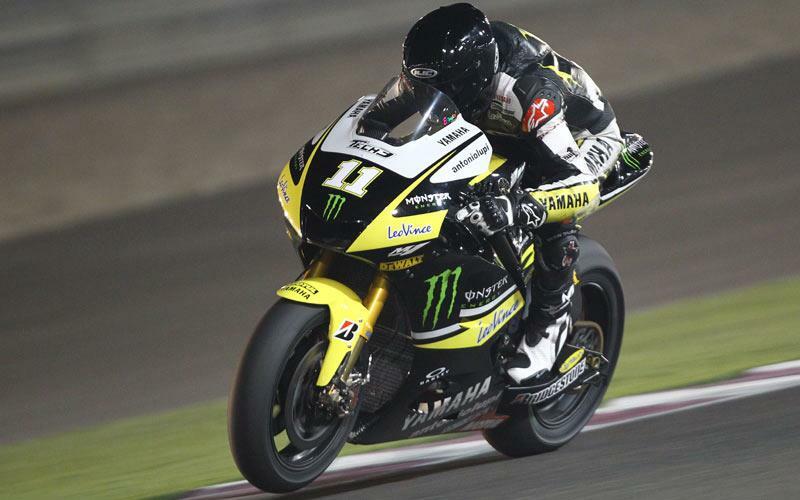 Monster Yamaha Tech 3 boss Herve Poncharal reckons American Ben Spies stands a fantastic chance of becoming a major success in the MotoGP world championship. The Texan will ride alongside compatriot Colin Edwards in Poncharal’s French-based squad in 2010 and arrives with a massive reputation after a record-breaking World Superbike campaign last season. Expectations for Spies have been raised by a series of eye-catching performances throughout the winter testing campaign on the new YZR-M1 machine, which culminated in him finishing fourth at the final test in Qatar last month. And Poncharal told MCN: “Every single day we have been working with Ben we have become more and more impressed with him. Not only because of the lap times but also because of his attitude. "You have the feeling that Ben is very committed in the right way. He never puts pressure on himself. He has a very humble attitude, which doesn’t mean he doesn’t have high targets but he listens to everybody. Spies’ mentor Kevin Schwantz has tipped Spies for a race victory in his first full season and Poncharal said so far the 25-year-old had exceeded expectations during the winter. Poncharal added: “We have had top World Superbike riders in our team before but I would say if any one can do it in MotoGP then it is Ben and only Ben. "Kevin said he will win a race this year. I’m not sure about that but I’m sure Ben will really impress a lot of people.